WESTON, Wis. (WSAW) — A 37-year-old Wausau woman is in custody after operating a vehicle under the influence, 5th offense, with a teenager in her car. A news release from the Wisconsin State Patrol North Central Region Wausau Post states a trooper stopped Stephanie Grosskopf’s car on Camp Phillips Road in Weston for an equipment failure Thursday at 3:15 p.m. The trooper observed indicators of impairment. After a field sobriety test was performed, indications showed Grosskopf was driving under the influence of a controlled substance. A 14-year-old was also in the car. Grosskopf was arrested for operating a motor vehicle while impaired, 5th offense, with a passenger under 16 years old, and for operating with a revoked licence. Howard Cosell : It may very well have been one of the most astonishing events to grace the annals of history. An historic, unprecedented avian biped with the temerity to attempt such an Herculean achievement formerly relegated to homo- sapien pedestrians is truly a remarkable occurrence. JUNEAU — A 27-year-old Loveland, Colorado, man has been charged in injuring the passengers in his car during an accident last summer while under the influence of alcohol and marijuana. Steven M. Cummings is charged with felony counts of use of a vehicle with controlled substance in blood – great bodily harm and operating a motor vehicle with a detectable amount of restricted controlled substance in his blood while causing an injury. He could face up to 12 years and 6 months in prison and a $25,000 fine if convicted of the charges. According to the criminal complaint, Cummings was driving a 1996 Nissan car that struck a utility pole on Aug. 13 at 2:50 a.m. on Highway R at the intersection with Highway SC. Two passengers, a 20-year-old Loveland, Colorado, man and a 45-year-old Minneapolis man were passengers in the vehicle. The 45-year-old was extricated from the vehicle and flown to Summit Hospital in Oconomowoc via medical helicopter with life-threatening injuries. The 20-year-old was ejected from the vehicle. He was transported by ambulance to Watertown Hospital, and then transferred to UW Hospital in Madison with serious injuries. Cummings received minor injuries and was transported to Watertown Hospital. The three had been working with a carnival at Riverfest in Watertown and had left to get something to eat. Cummings allegedly admitted to smoking marijuana earlier in the day, but did not believe it impaired his ability to operate a motor vehicle. He agreed to submit to a blood draw. The blood test showed Cummings had a blood alcohol level of .077 and marijuana in his system. Speed also is believed to be a factor in the crash. Cummings is scheduled for an initial appearance in court on May 21. SHEBOYGAN – A 33-year-old Sheboygan man, suspected of driving a car into Pigeon River before departing while the passenger stayed at the scene, was charged recently in Sheboygan County Court with several felonies and misdemeanors in connection with the March 25 incident. Prosecutors charged Andrew F. Christian with felonies for hit and run causing great bodily harm, and operating while intoxicated causing injury (second and subsequent offense), both felonies. Christian is also facing misdemeanors for operating a motor vehicle while revoked causing great bodily harm to another, and for obstructing an officer. According to a criminal complaint, a county sheriff’s deputy dispatched to a report of a car in the river found Christian in another vehicle along Rangeline Road. Christian had a large cut to the side of his head — which officials later said was consistent with evidence that the driver of the car found in the river would have struck his head against the windshield. 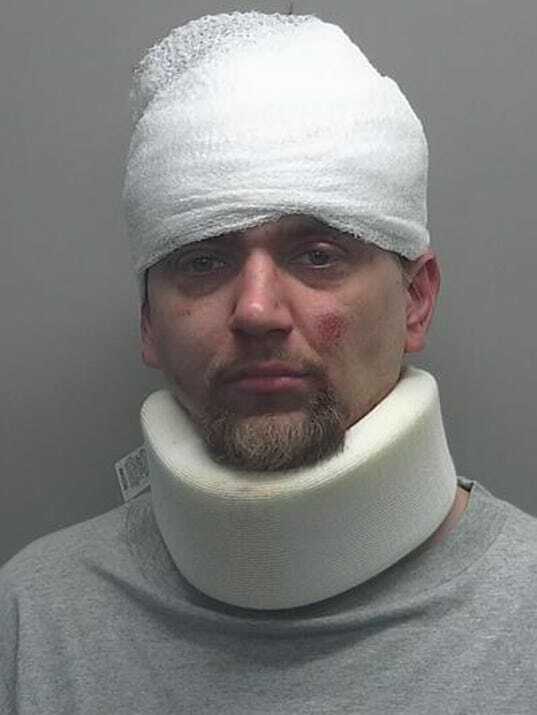 Christian told a deputy he’d been out for a walk and had fallen off a railroad trestle, though the deputy noted most of his pants were wet — “as if he had been walking in a river,” according to the criminal complaint. The responding deputy also noted Christian’s words were slurred and that he had a hard time balancing. Christian later told deputies he’d been at a bar that evening, and that he had been walking along railroad tracks between Sheboygan and Haven. At the scene of the crash, a deputy reported finding a 22-year-old man slumped over by the car, which was found in about 2 to 4 feet of water. The official noted swelling and “deformities” in the man’s right arm and on his legs. The report also notes his injuries, most seriously to his right side but none with significant bleeding, would have been consistent with him sitting in the passenger seat. A deputy’s investigation indicated the car had appeared to leave the road “quite a distance” from where it was found in the river, and a criminal complaint notes the vehicle had apparently gone airborne before landing in the water: Nearby trees were sheared off, apparently by the car, about 12 to 15 feet above the ground. The car had significant damage to its passenger side. The driver’s side was more intact, though a deputy’s report noted “a large amount of blood on the driver’s side,” including on the windshield, raising suspicions the driver had struck his head on the windshield. At the hospital, Christian initially declined to offer a blood sample because, according to the criminal complaint, he said he hadn’t been driving, though he subsequently said “sure” to a deputy’s questioning and a medical technician drew his blood for testing. Results of the blood test were still pending by the time prosecutors filed charges. The complaint notes Christian had previously been convicted twice, most recently in 2017, for operating a vehicle while intoxicated. A woman allegedly driving while high rear-ended a cop car inside a parking lot on Long Island, sparking a fire that quickly engulfed her vehicle before police officers were able to pull her out, authorities say. Nassau County police say an officer was conducting a traffic stop at a parking lot on Burnside Avenue in Inwood Tuesday when the driver of a 2014 Audi came into the lot and crashed into the back of the police car. The Audi burst into flames, and police pulled the driver, 34-year-old Marsha T. Ellis, from the car, Nassau police said. Inwood firefighters responded and knocked out the fire. The police officer was taken to a local hospital with neck, back and shoulder pain. Ellis, who was also taken to a local hospital with another officer for smoke inhalation, was arrested after investigation, police said. She’s accused of driving while ability impaired, and is also suspected of stealing an iPhone from a local store earlier in the day. She’s charged with fourth-degree grand larceny, driving while ability impaired by drugs, third-degree assault, fifth-degree criminal possession of marijuana, and nine vehicle and traffic law charges. Ellis is expected to be arraigned in First District Court in Hempstead on Wednesday. It’s not clear if she has an attorney who could comment on the charges. Dilbert : I hate it when the title gives away the plot! Fat pheasants wandered quite leisurely around this area. Why, we wondered, would one decide to cross Sowley Lane? LAPORTE — A dentist accused of killing an ambulance patient from Portage in a head-on collision he caused while driving impaired wants his bond lowered. 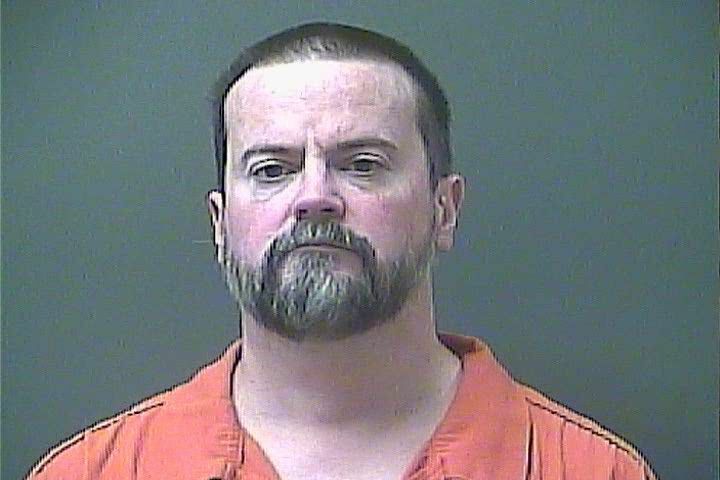 Jeffrey Bilyak, 46, of Chesterton, appeared on video in LaPorte Circuit Court for his initial hearing Friday. He was in the LaPorte County Jail when Judge Tom Alevizos scheduled a hearing for May 4 to decide whether to reduce his $20,000 bail. Alevizos also ordered a background check to look over before ruling on the request. Bilyak turned himself in Wednesday on arrest warrants for Level 4 felony operating while intoxicated causing death, Level 5 felony reckless homicide and two counts of operating while intoxicated causing serious bodily injury. Heather Widing, 47, died a day after the Feb. 15 crash on U.S. 421 near LaCrosse. She was heading to a hospital in Indianapolis in the back of an ambulance hit by an oncoming Bilyak while trying to pass in very dense fog in a no-passing zone, according to court documents.